Free wifi always makes us happy but using it can put our private date or personal information at risk. IPVanish is the best solution to this problem. It will mask your IP address and encrypt your personal information that makes your identity secure. Hackers, ISPs, and Tech-savvy teens could not be able to get into your connection if you are using this tool. IPVanish do not reccord any of your information or activity because they have and follow a tough zero-logs policy that makes your identity secret. They managed their every activity internally from app development to customer support that makes it more secure by removing the middleman. It was first created by Mudhook Media Inc. in 2012. IPVanish was first started with 32 servers and a client for windows operating systems. Lately, macOS, iOS, Android and Fire TV was included to expand it. 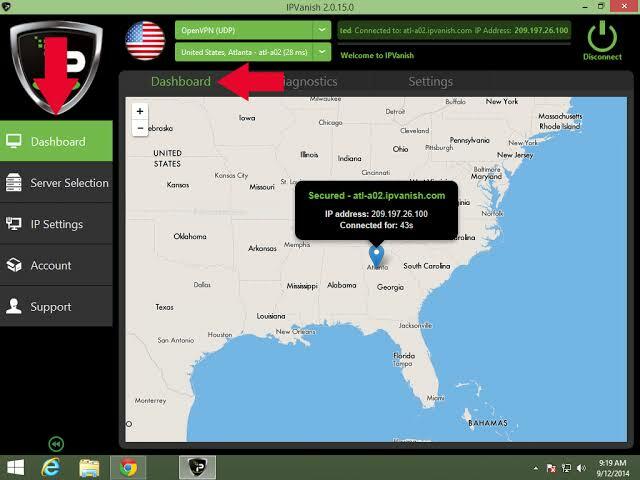 IPVanish have 1000+ servers over 80 counteries and largest number of VPN servers are present in US, UK and Australia. They are also present in Turkey and Hong Kong. This makes it more fast, unrestricted and available to every corner of globe. Other than this, they control and contain a private fiber-optic network of tier-1 servers. IPVanish owns 90% of POPs and the company controls the data centre and hardware. OpenVPN and IKEv2/Ipsec technologies are used in the connection of IPVanish for encryption. IPVanish supports the AES(128-bit or 256-bit) specification with SHA-256 for authentication and an RSA-2048 handshake. The connection protocols( L2TP and PPTP) can also be configured. If you are a university student, employer or government servent who wants to practice an online censorship then IPVansih(VPN) will help you to break the chains and will help you to explore and enjoy the real internet by ignoring the regional restriction. 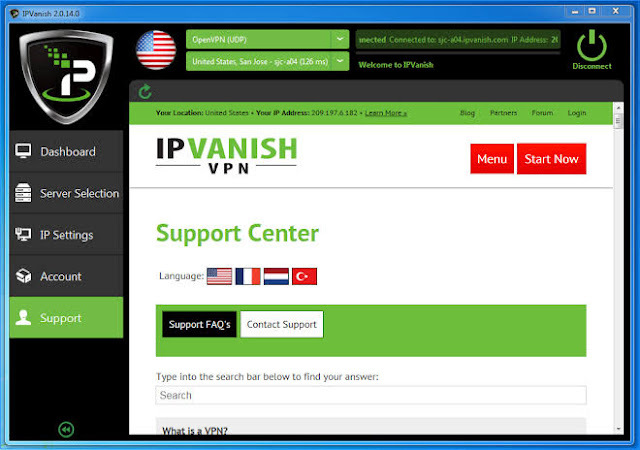 IPVanish hides the real IP address of the user by masking it with a decoy IP address and shared it among their users while connected to service. It helps its users to appear in one of the more than 60 different countries. It has desktop clients for Microsoft Windows and macOS as well as apps for Android, iOS, and Fire TV. Chromebook, Windows Phone, Linux and DD-WRT routers are the alternatives and could be configured to use IPVanish. 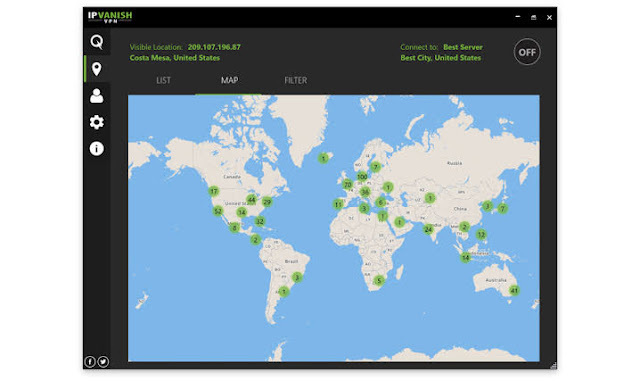 IPVanish is a wonderful tool which helps to access the sites which are restricted in the location, where the user is present, this can be done by selecting the region outside the location of the physical position of user. 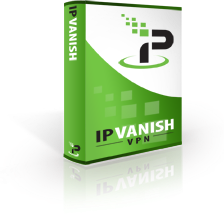 Instead of using other VPN services the user can use IPVanish to bypass the internet censorship in most countries. For the lover of games, it is a good news that they can now play the games the games which they like and are restricted in their region due to licensing agreements. IPVanish has named the “one of the best gaming VPNs” by IGN in 2007 review of service. Ping drop of just one millisecond was noted by the reviewer during a speed test of VPN with league of legends. Its one feature which makes it better from other VPNs is that each subscriber can use its service on up to 10 devices at the same time. It is an excellent gift of todays technology which helps us to bypass the restricted sites of our region, can play the games which are restricted and can mask the IP address so that no one can trace the location. Our website has many more tools which makes your device more compatible and fast. Visit our other pages to get and enjoy the services.